transit maps of any complexity, etc. 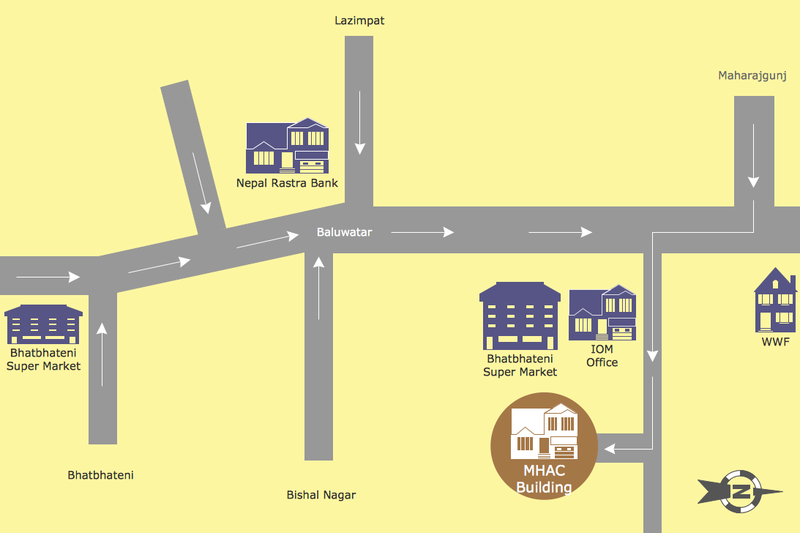 Directional Maps Solution includes also a set of predesigned samples and templates. They are helpful for easy drawing. Nothing could be easy than open ready sample and simply correct it for your needs, or fill template. Directional Maps Solution contains a variety of samples which are available for viewing and editing from ConceptDraw STORE. The Directional map samples you see on this page were created in ConceptDraw DIAGRAM software using the Directional Maps Solution. 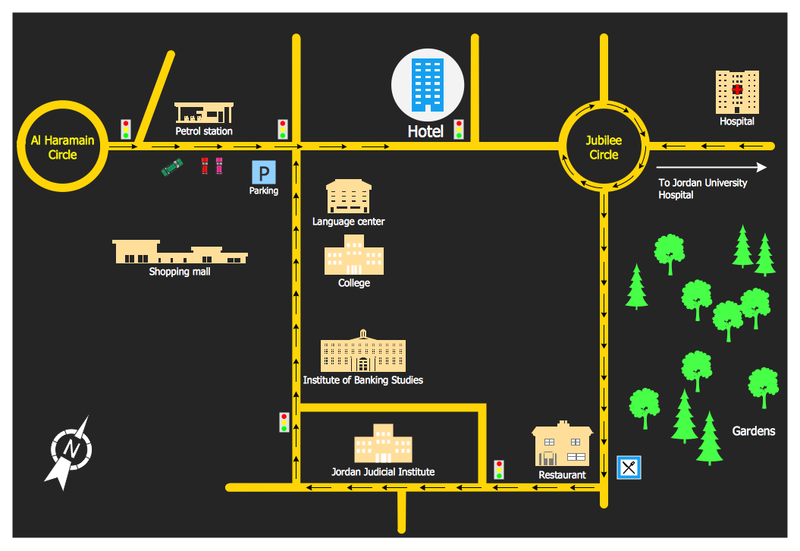 They visually show how it is easy to represent on the map directions and routes to the various buildings and important places of the city. An experienced user spent 5-10 minutes creating every of these samples. All source documents are vector graphic documents. They are available for reviewing, modifying, or converting to a variety of formats (PDF file, MS PowerPoint, MS Visio, and many other graphic formats) from the ConceptDraw STORE. 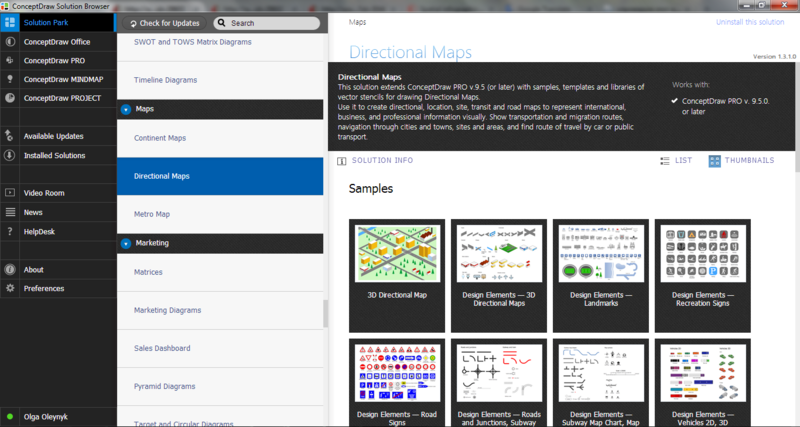 The Directional Maps Solution is available for all ConceptDraw DIAGRAM or later users.